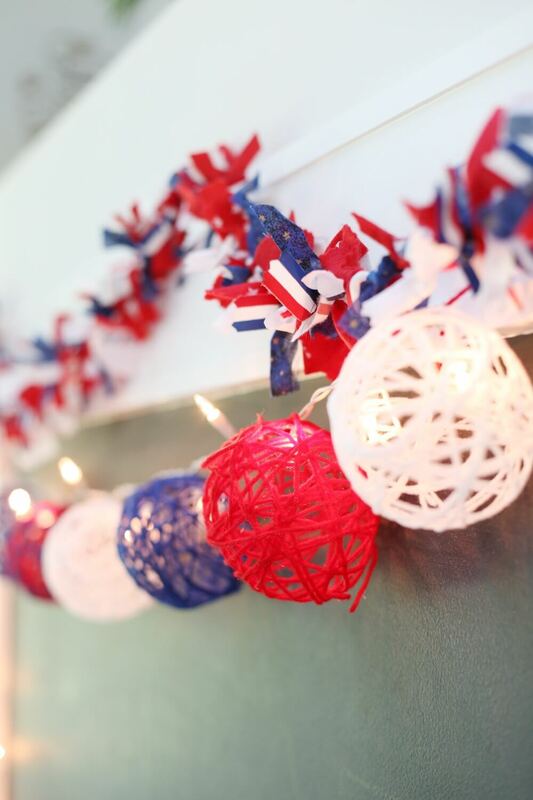 Looking to add a little DIY fun to your summer decor? 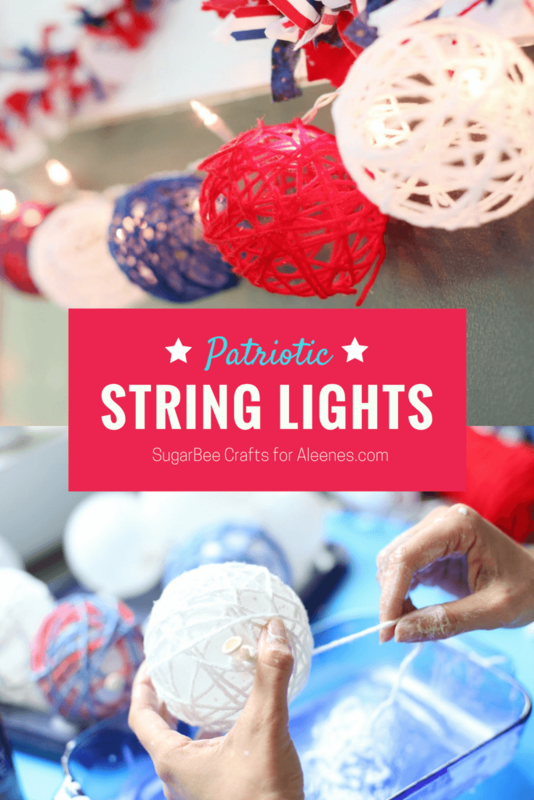 These Patriotic Yarn lights are just what you're looking for!! 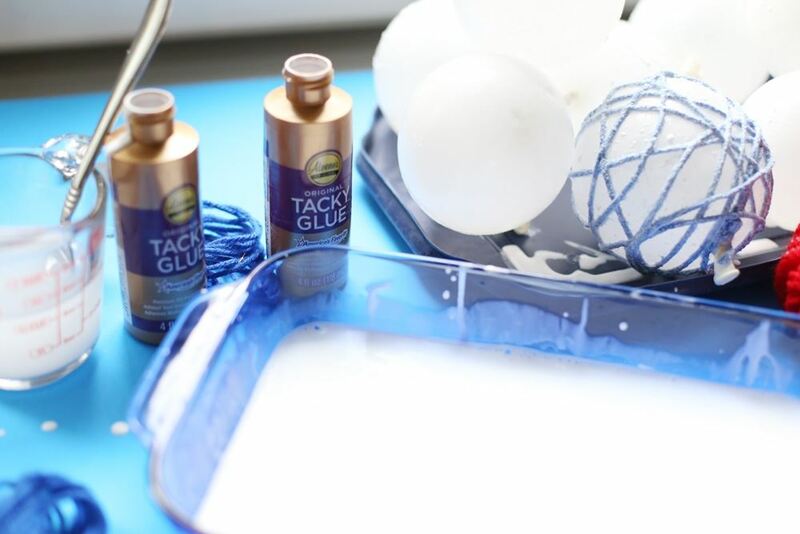 Pour both bottles of Tacky Glue into a shallow dish. Add a small amount of the water and stir into the glue. When combined, add more of the water, stirring again. Repeat until water and glue are all combined. 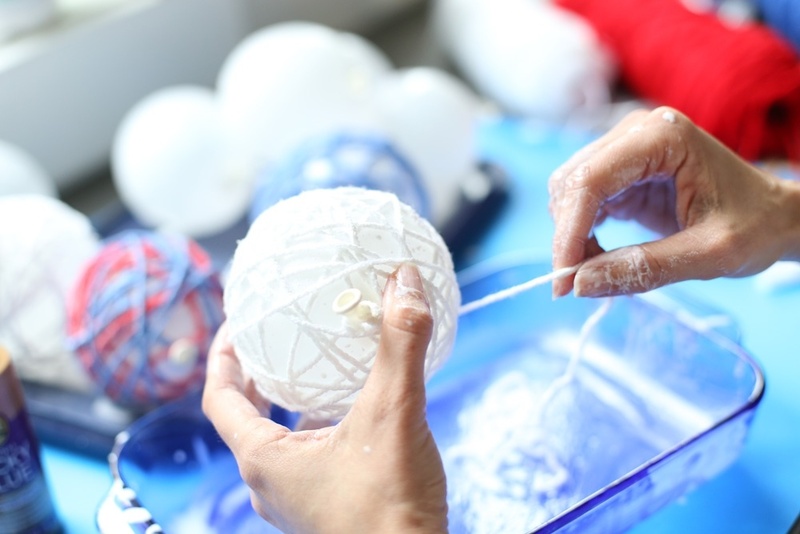 Coat inflated balloons in petroleum jelly to prevent yarn from sticking. Cut off a manageable length of of yarn (approximately 8-10 wraps around your hand) and place in glue bath. Saturate. Wrap yarn around balloon. Repeat until desired amount of coverage is reached. I used a couple of strands of yarn on each balloon. Place on a paper plate to dry. Rotate throughout the day to give equal drying access to all sides. Dry for at least 48 hours. Using a straight pin, pop the balloons and pull out any extra pieces. 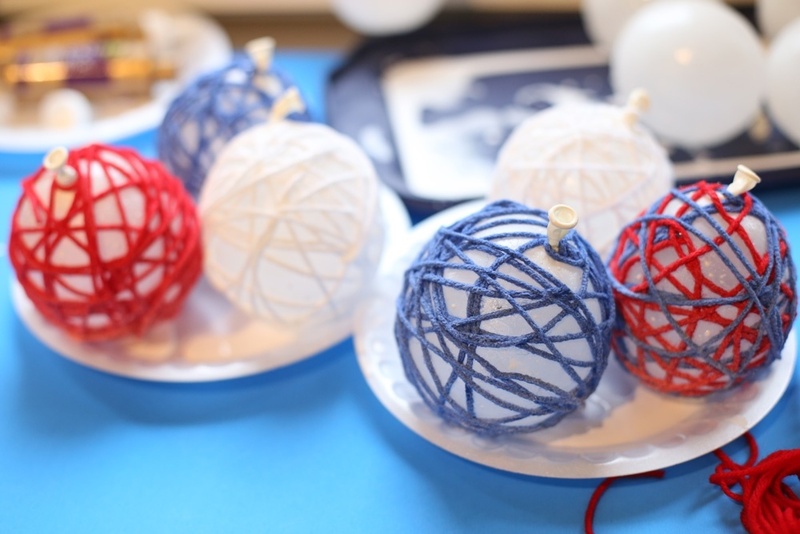 Attach the yarn balls to the light strand using small pieces of bendable wire (I used ornament hooks). Hang and enjoy!